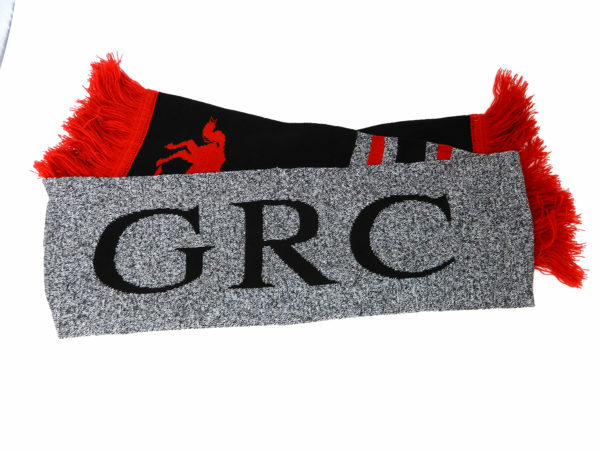 This scarf will keep you warm all winter long! 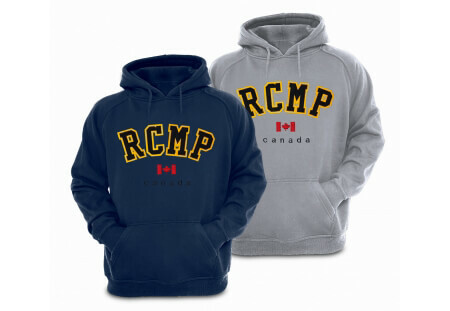 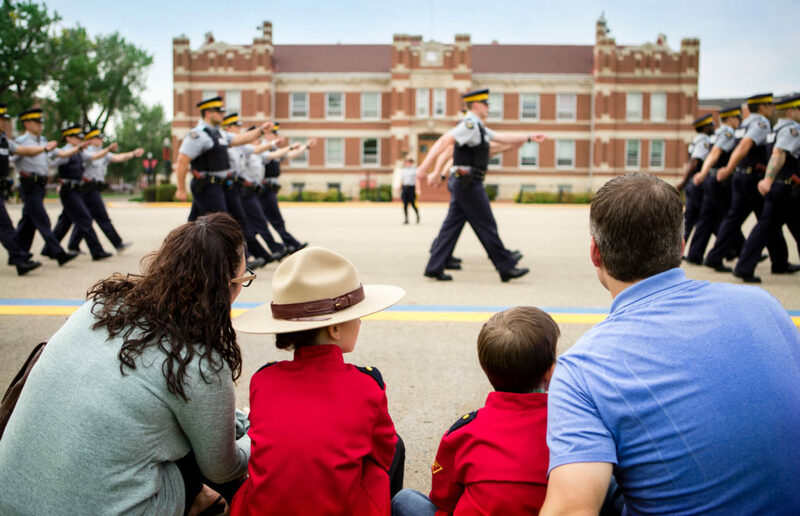 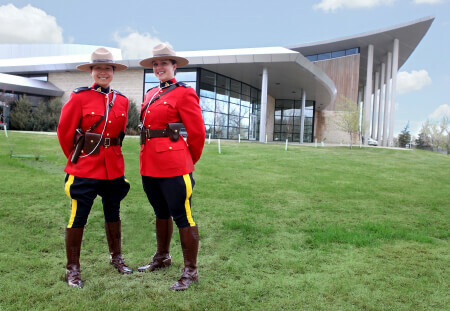 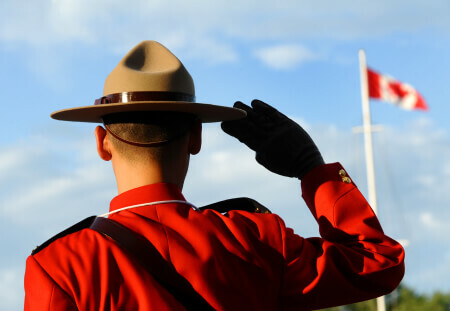 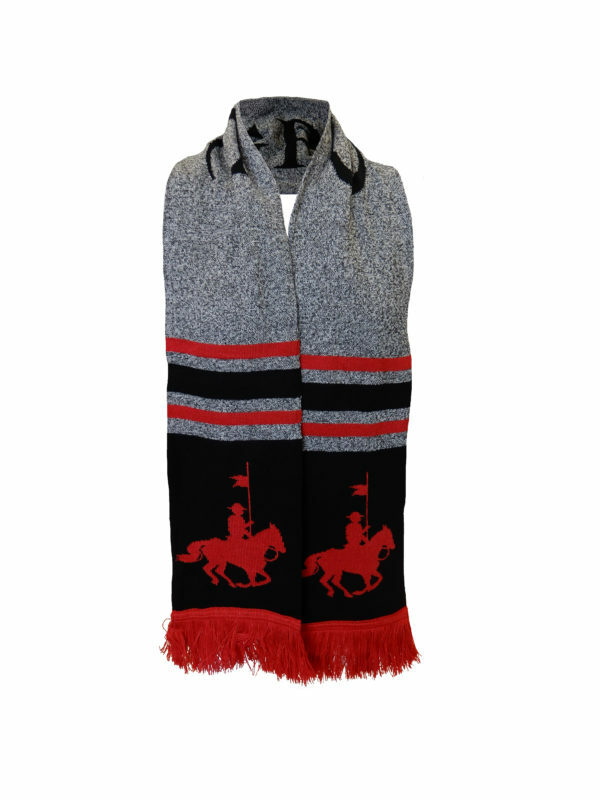 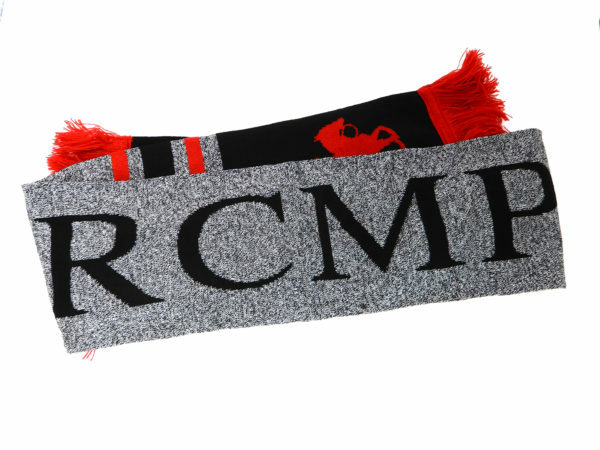 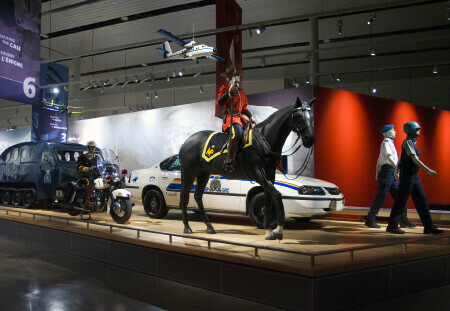 This scarf features both English and French versions of the RCMP and features a horse and rider logo. 85% Acrylic, 14% Polyester, 1% Spandex.